Toddler Town Daycare welcomes anyone who is interested to apply for a position at one of our locations. 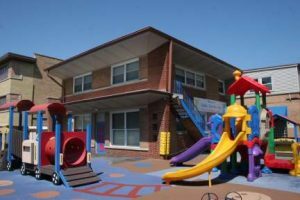 Toddler Town Daycare, a place where the children always come first, is looking for a full time Lead/Head Teacher with a type 04 certificate for one of our classrooms at our Chicago location at 5934 W. Diversey. Teacher must be able to provide direct care, nurturing, and empowerment to children and also be able to work towards building cooperative, supportive, trusting relationships within the teaching team and also with the children and their families. We offer a fun friendly environment with excellent opportunities for growth. Experience in Creative Curriculum is a must. Teachers must be able to provide direct care to children and also be able to work towards building cooperative, supportive, trusting relationships within the teaching team and also with the children’s families. We offer a friendly environment and excellent opportunities for growth. Please no phone calls about this position! Head and Assistant Teachers need to have experience in Creative Curriculum & Computer knowledge. Compensation: Competitive Hourly pay, PTO, Holiday pay, vacation, 401K, no phone calls please! Your resume will be kept on file for a period of 1 year; if a position opens, we will review all resumes on file first, and then post an ad online and in the local papers. Thank you and good luck in your search.